What sign forbids entry to pedestrians? 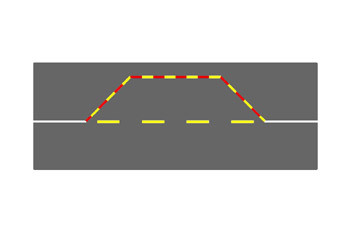 Merging of a roadway having right-of-way with a side road to its right (turning to the side road is allowed). You are approaching a side road merging from the right (turning right is prohibited). You have right-of-way over traffic coming from the side road. Give right-of-way to traffic coming from the road that merges from the right. 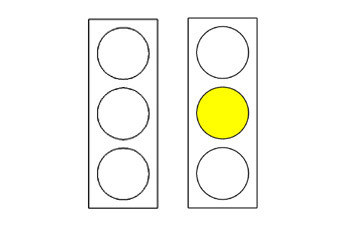 What are you required to do when a traffic light displays a flashing yellow light? Ignore the traffic light and keep driving. Everything is ok. 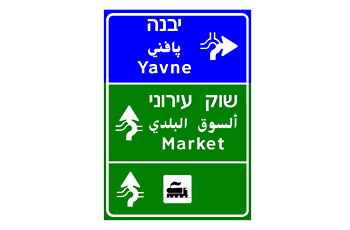 Proceed carefully and drive according to the traffic signs placed at the intersection. Stop inside the intersection and wait for the green light. Stop at the customary stopping place and wait for the green light. You have right-of-way on the narrow road. 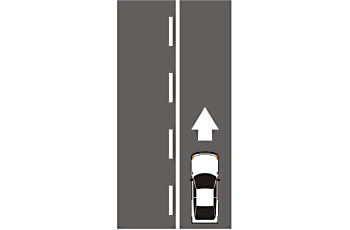 Give right-of-way in a narrow road to traffic from the opposite direction. Traffic restrictions on the right of the road. What are you required to do according to the following traffic sign? Warn pedestrians by honking loudly and turning on the headlights. Continue driving and make sure that the pedestrians clear away from the roadway. 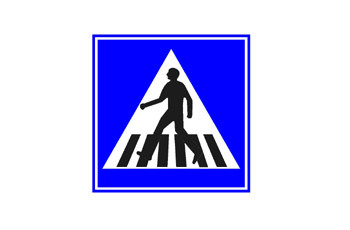 When youre driving and approaching this traffic sign, always slow down and even stop if necessary to allow pedestrians to safely cross the road. Honk and warn the crossing pedestrians. Pick-up station. No stopping of commercial vehicles. 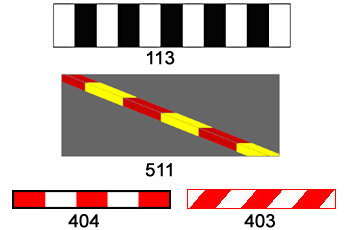 Parking for soldier transportation vehicles. Soldier pick-up station. Only military vehicles are permitted to stop. Pick-up station for soldiers. Picking up or letting down only (waiting at the station is prohibited). Before and close to the stop line. 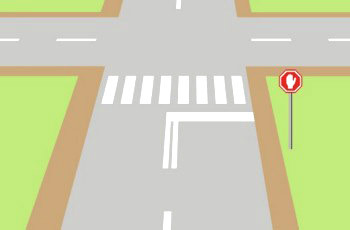 You can stop anywhere, as long as you stop before entering the intersection. After the pedestrian crossing, but before the intersection. Honk continuously to warn the tractor drivers. Give right-of-way to an agricultural vehicle on a freeway. Turn-on the lights and stay on the right of the road. 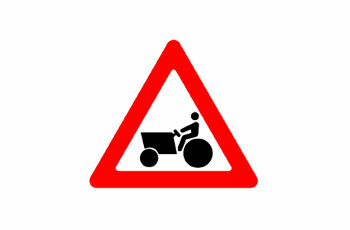 Slow down as you may encounter a heavy and slow agricultural vehicle. 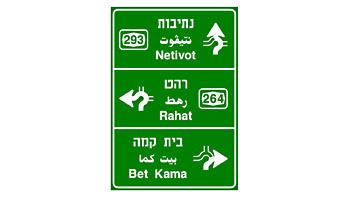 What is the meaning of the road sign? Early warning to destinations before an Inter urban junction. 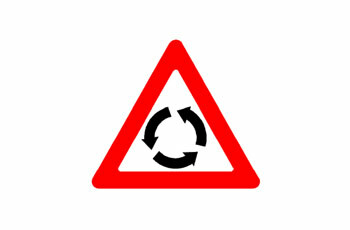 Early warning to destinations before a junction in an urban area. Early warning to destination before leaving an Urban area. 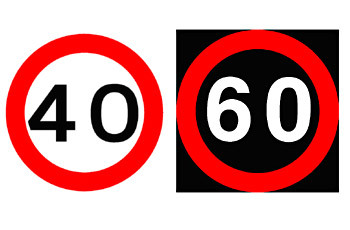 Early warning to destinations before a motor –way (Freeway). It marks the line of the road’s edge, where curbstones are absent. 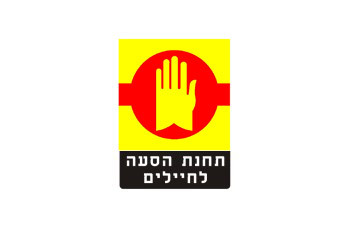 Driving is prohibited between the yellow lines. Parking is allowed on the left side of the line, on a freeway. Parking is allowed on the right side of the line, on a freeway. 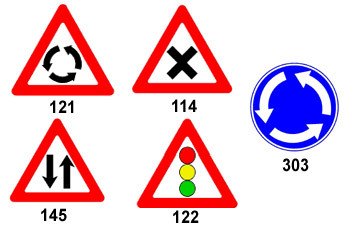 What are the permitted driving directions according to the traffic signs in the following intersection? Straight and left for busses only. 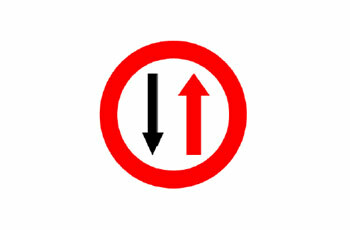 Straight in the direction of the arrow only for non-public vehicles. 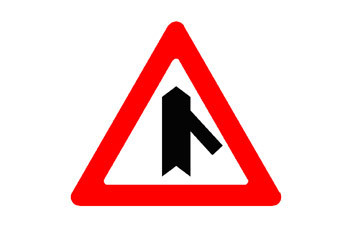 All vehicles approaching will continue in the direction of the arrow. Straight, for public transport only. Before you is traffic sign 303. 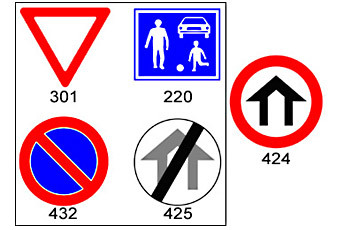 Which traffic sign is sometimes placed before it? Give right-of-way in the roundabout before you. 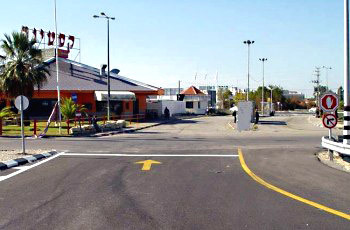 A distance of about 150 meters to an approaching roundabout. No entry for non-motor vehicles only. Entry is permitted for tractors and work vehicles. 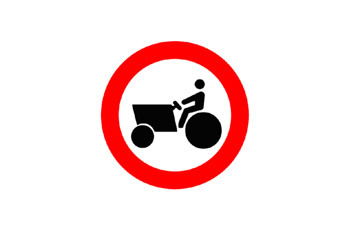 No entry for tractors and work vehicles. 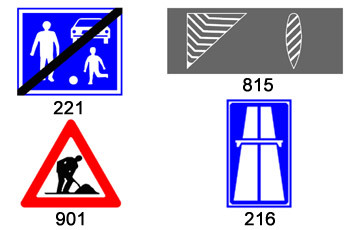 What is instructed by the following traffic signs? 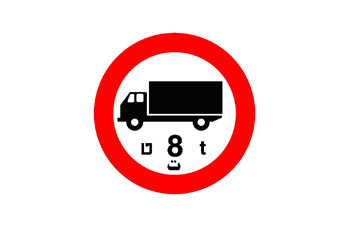 Weight restriction – 60 tons. Special speed limit: It is prohibited to drive faster that the speed limit that is indicated on the sign (in k.p.h). Special speed: It is prohibited to drive faster than the speed that is indicated in the sign under foggy or hazy conditions. It is prohibited to drive faster than 60 k.p.h during the night. During the day, however, it is permitted. 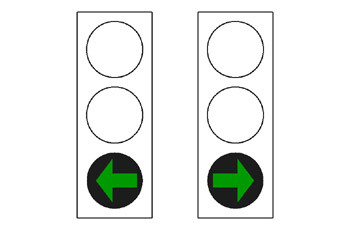 What is the meaning of the green arrow in the traffic light? Keep driving straight or right only. 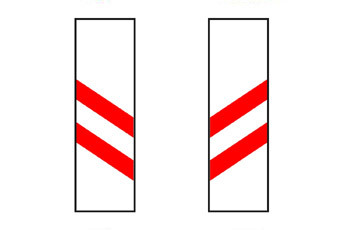 You may continue driving in the direction of the arrow only. 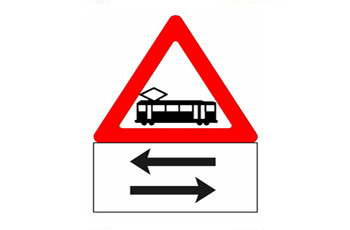 Only public vehicles are permitted to turn in the direction of the arrow. Cross the intersection and clear it quickly, in every direction you want to go. 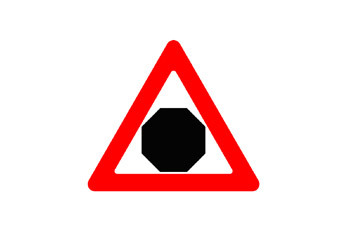 Which of the following signs means: Barrier before a level crossing? It is prohibited to stop within a distance of 120 meters before the railway tracks. 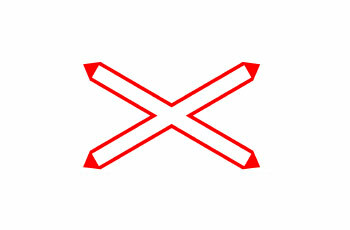 A distance of about 70 meters to an approaching level crossing. Designated waiting place for a taxi service route. Designated waiting place for taxis. 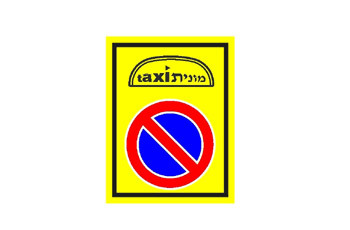 Place for loading and unloading of taxi passengers only. Waiting for passengers is prohibited.